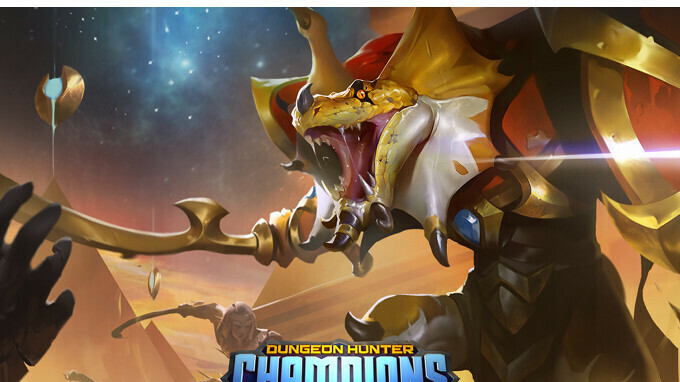 French game publisher and developer Gameloft has just announced its new title in the Dungeon Hunter franchise will be called Dungeon Hunter Champions. The game will soon make its debut on both Android and iOS platforms, although some lucky fans will be able to download its starting this week. Dungeon Hunter Champions is now available for download in the App Store and Google Play Store, but only if you have an account for Canada or Vietnam. The rest of us who love the hack'n'slash franchise but don't have access to stores in those countries can pre-register to receive exclusive items and a chance to win 15 Champions. Dungeon Hunter Champions is definitely a departure from the iconic series and opens up new ways for fans to journey through the massive world of Dungeon Hunter. Gameloft promises players a captivating storyline, which will take them through new worlds in a massive multiverse environment. Besides the solo campaign, players will be able to enjoy live 5v5 multiplayer experiences, as well as build their own team by summoning over 250 collectable Champions from every corner of the multiverse. It is yet unclear when the game will be released, but since Gameloft has already decided to soft-launch it in a few countries, it shouldn't take more than a couple of months.